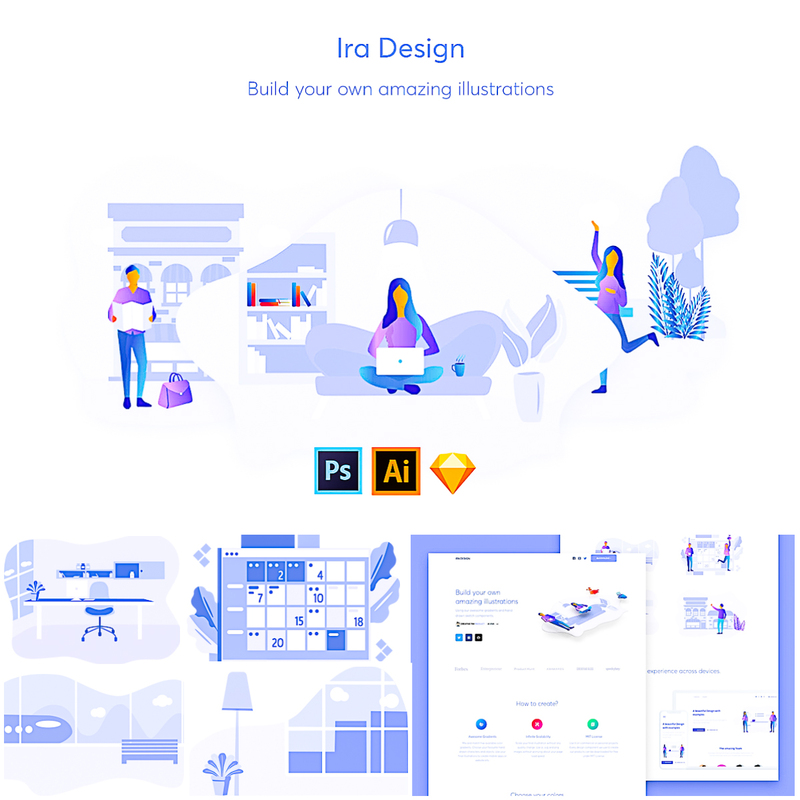 With Ira Design you can create amazing illustrations, using hand-drawn sketch components, a cool selection of 5 gradients and svg. or png. formats. You will get over 15 different backgrounds, 10 characters and 17 objects. 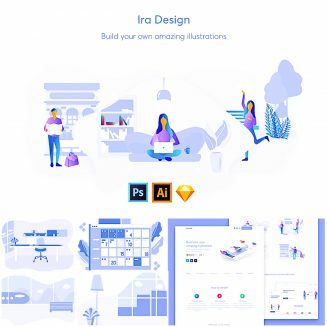 Create your own illustrations and add it to your website. File format: .png, .svg for Photoshop or other software. Tags: background, character, flat, gradient, illustration, object, web, web design, website.